Peter McGill (McCutcheon) was born in August, 1789 at Cree Bridge, Wigtownshire, Scotland, son of John McCutcheon and Mary McGill, sister of the Hon. John McGill, Receiver-General of Upper Canada. At the suggestion of his maternal uncle, he came to Canada in 1809 and engaged in business in Montreal, later founding the mercantile firm - Peter McGill & Co. The Hon. John McGill, being childless, made his nephew his heir, bequeathing to him his extensive and valuable estates, on condition that he assumed the surname of McGill. In 1819, Peter McGill was elected a Director of the recently founded Montreal Bank (later the Bank of Montreal) and by 1834 had been elected President, occupying that position until 1860 when he tendered his resignation. During his lifetime, he performed the duties of many other important offices including Chairman, St. Lawrence & Champlain Railroad Company (the first railway company established in Canada); Director, Grand Trunk Railroad of Canada; Governor of McGill College & Montreal General Hospital and Chairman; Colonial Life Assurance; President, Canadian School Society; President, Montreal Bible Society; and Lieutenant-Colonel of Militia. 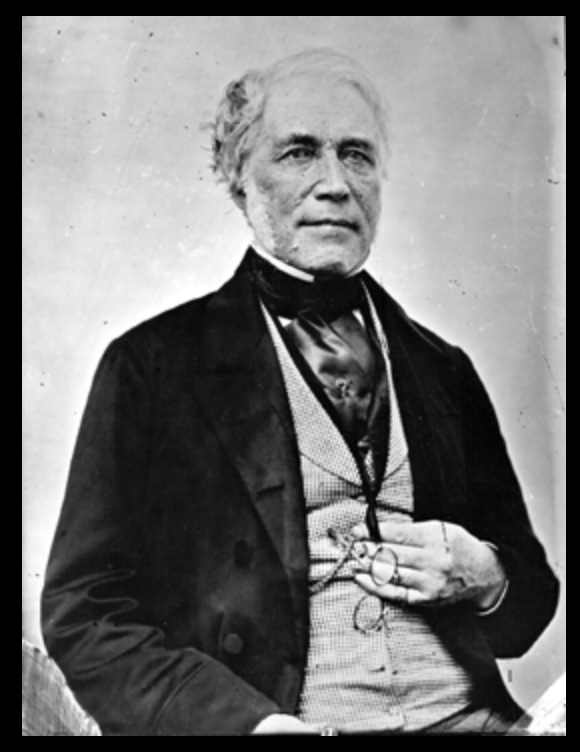 He was appointed a member of the Legislative Council of Lower Canada in 1832 and a member of the Executive Council in 1838; after the union of the Provinces, he was made a Legislative Councillor of Canada. In 1847, he was appointed Speaker of the Legislative Council and a member of the Executive Council by the Governor General, the Rt. Hon. Lord Elgin, serving until 1848 when he resigned along with his colleagues in the administration. From 1840 until 1842, he served as the second mayor of Montreal, and its first English-speaking one, during which period many great improvements were effected in the city. In his civic capacity and as a man of business, Peter McGill was eminent for his intelligence and liberal views; "one of the Province's most worthy citizens", a strictly honourable person who instilled the utmost confidence in others - "he was one of those merchants of whom it is emphatically said, their word is their bond." Dr. G. W. Campbell (one of the Society's first Honorary Physicians) described his friend as "one of nature's noblemen; possessing a massive frame and endowed with physical as well as mental energy, he was such a man as would he chosen a leader in any circumstances." He was an active Presbyterian who was referred to as "a tower of strength" by the congregation of St. Paul's Church where he had been ordained an elder and remained a member until his death on September 28th, 1860. The rain fell in torrents on the day of his burial, but the city's leading citizens were there in very large attendance. Many of the shops on the streets through which the cortege passed were closed out of respect, and the flags of vessels in the harbour were hoisted at half-mast. —Whether as a statesman and politician, a useful and active member of our municipal government, or as a patriotic liberal-minded and philanthropic citizen, it would be difficult, if not impossible, to name tiny man who, in the community of Montreal, or indeed in any community, so deservedly merited the esteem and regard of his fellowmen as Peter McGill". St. Andrew's Society of Montreal was fortunate to have had such a leader to guide and counsel its members during those first early years. He served as the Society's first President from 1835 to 1842 and then returned as President again from 1844 to 1846. Records show that for many years during and after his term of office he gave much of his time and no small amount of his means to the support of the Society whose members held him in such high regard. And firm the root below. " Founded in 1835, the St Andrew’s Society of Montreal is a charitable society dedicated to the assistance of Montreal’s Scottish community, education and the preservation of Scottish arts and culture.